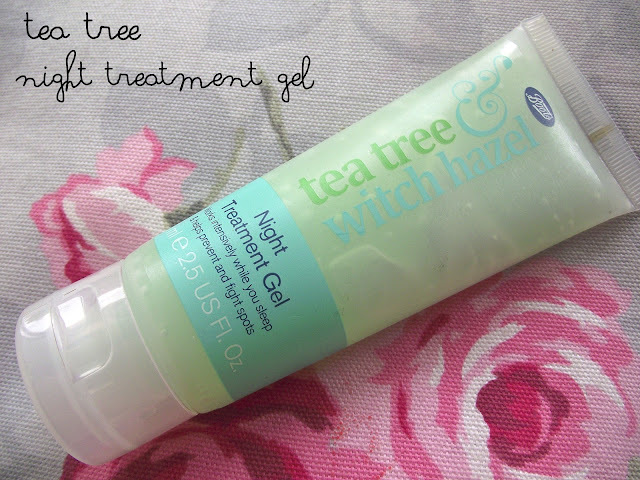 Jesska Denise: Boots Tea Tree Night Treatment Gel. Boots Tea Tree Night Treatment Gel. I bought this product months ago when I was in Boots and being a firm believer that you can't blog about a skin product as soon as you buy it I've left it a good while to post about it. When it comes to skin care I'm quite lazy. Unless it offers a quick solution and shows results almost instantaneously then I get bored of it but i persevered with this mainly because I'm a sucker for the scent of 'tea tree'. I'll be honest it took me a while to notice any results from this. I suffer from terrible breakouts near the lower end of my face, everything from not drinking enough water to eating chocolate just drives it crazy. Tea tree oil has always been hailed as this marvel for fighting spots so I was keen to see if it would live up to its reputation. I bought this as it claims to work whilst I'm sleeping, prevent and fight any further spots. Pretty simple right? Right. It soothed current spots and greatly reduced any redness I was experiencing -I put this down to the tea tree, that stuff really works wonders- but it didn't completely rid me of them, but for a low end drugstore product my expectations weren't that high to begin with. It did however prevent any further spots coming along and driving me insane so for that, I love it. It partially does as it says but I put this down to me just having extra troublesome skin and I reckon if you suffer from the odd breakout here and there then you will have exceptional results. I'm now using this in combination with a prescription roll on I got from my doctor and the two combined together are a great team. Maybe some day I'll have flawless skin.....but sadly today is not that day. What do you guys think, have you used any tea tree based products to rid yourself of troublesome skin? with us so I came to take a look. I'm definitely loving the information. I'm book-marking and will be tweeting this to my followers! 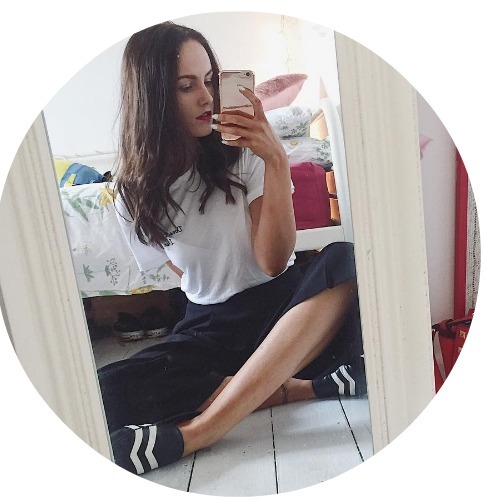 So good that you waited to blog about this, I had a skin product that I bought and used and to begin with I loved, but it started to go downhill afterwards. I really appreciate this honest review! Definitely needing something like this at the moment. Totally agree about waiting to review stuff, especially skincare. I change my mind so often lol! I've tried tea tree in the past and never been sure if it did much for my skin. Thanks for the honest review though, I think you're right when you say it's more suitable for people with the odd breakout. Maybe I'll give it another go and give it more time!